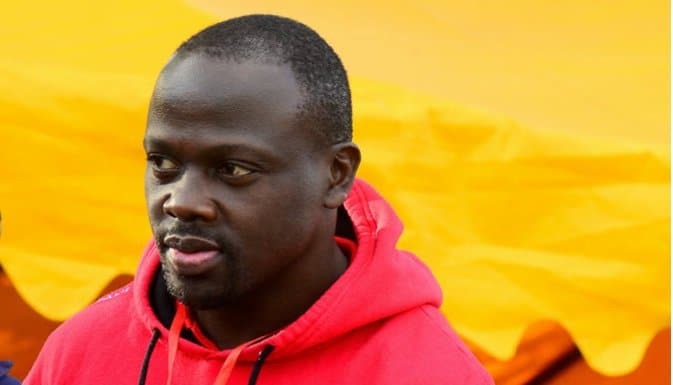 The Kenya Rugby Union (KRU) Board has reportedly dismissed Kenya 7s head coach, Innocent Simiyu hours after Brand Kenya sponsorship withdrawal. Earlier on in the day, Tourism CS Najib Balala castigated the team for ’embarrassing Kenya’ during the Paris 7s held last month. Simiyu is said to have defended his players who he on Wednesday said should not be victimized for their actions. But word also has it that at the time the Shujaa Rugby players concealed Brand Kenya message on their jerseys, they had already received Ksh.4 million through KRU, which was misappropriated. In fact, KRU officials admitted to have received the aforementioned amount but used it in other expenses including paying the players allowances. The coach apparently still has two months to go before his contract expires. He led the team to their best ever finish in the World Rugby Sevens series having finished with 104 points.